We didn't go organic. We've always been. Your dog will our Organix dog cookies because they are made with delicious, high quality ingredients that deliver a taste dogs crave. And you'll love giving them to your dog because they are certified organic, which means they are made without chemical pesticides, synthetic fertilizers, added growth hormones or antibiotics. That means satisfaction for your best buddy and peace of mind for you. 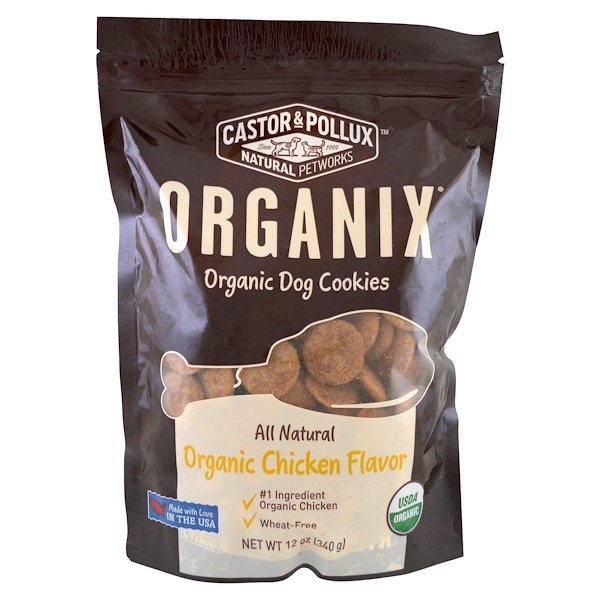 Castor & Pollux Natural PetWorks is a leader in organic and natural products for dogs and cats. We are dedicated to uncompromised quality and to feeding pets in need. We may be a small company from Oregon, but we're passionate about dogs and cats everywhere. No one does natural like we do. 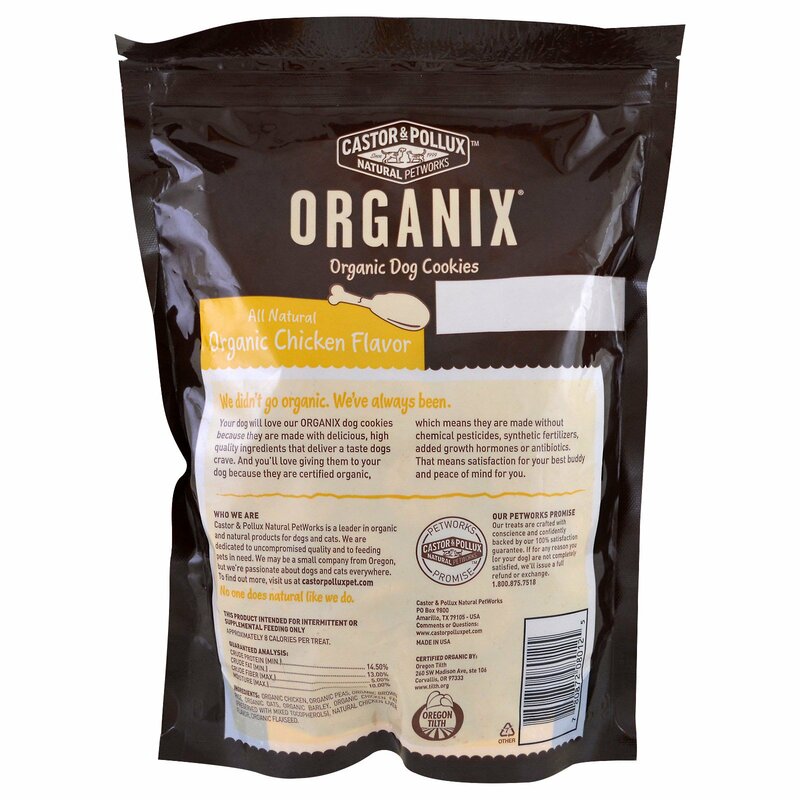 Organic chicken, organic peas, organic brown rice, organic oats, organic barley, organic chicken fat (preserved with mix tocopherols), natural chicken liver flavor, organic flaxseed. Approximately 8 Calories Per Treat.